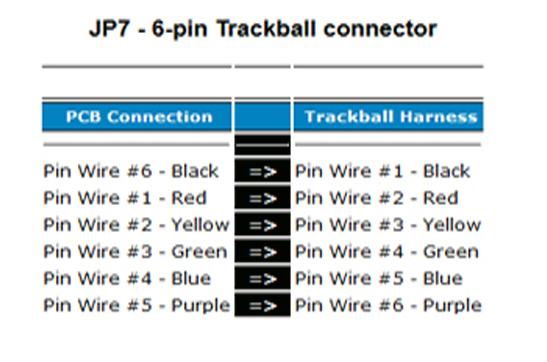 I found this on the internet golden tee 98 arcade jp7 trackball pinout image and it works good luck does any one know how to get the audio to work? 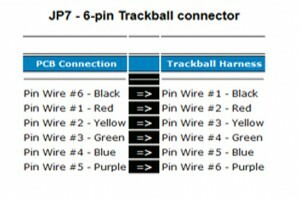 just use the p1 up down left right and power the track ball with +5 and ground to harness seams to work for me! use at own risk but so far it still works for me! tired of pop up coming up every time u open nestopia “create a directory to desktop” and than you get a error. I was able to fixe it just open up the xml file in wordpad or notepad and make sure all the paths in the file are the same directory as the host file save it as a xml and reopen.. worked for me make sure u save a back up copy to be on the safe side! why it was changed for me is because i had it on a windows 7 and than i put it on a xp computer windows 7 use’s users dir and xp does not! good luck. has been solved and fix just make sure you download the latest net framework 3.5 and it will work!